The second serve in tennis is like a mystery to many club players. Sure, anyone can hit a slow second serve into the box with no spin, but I’m talking about a kick serve with pace and massive spin that disrupts the opponent. Follow the five points laid out below and you’ll be on track with an aggressive, consistent second serve. So why is it so difficult to hit a tennis second serve the way the pros do? The second serve requires a special technique that is different than any other shot in tennis. 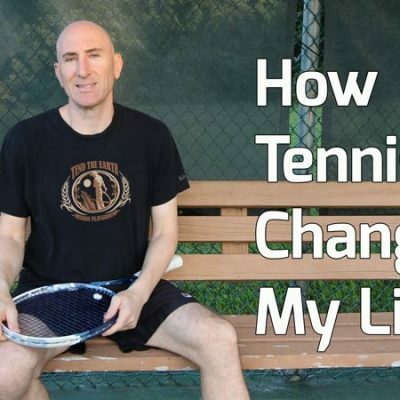 Everyone can learn to hit a forehand, a backhand, a volley, and a first serve. And the second serve too! But while all those first shots require technique, they are not as specialized as the second serve. If the second serve has alluded you, then read on. I am going to dispel the mystery and let you know the five most important keys you need to know to hit a great second serve. Don’t get me wrong. The second serve was a mystery for me too. When I first started playing, there were no youtube videos to learn from and I couldn’t afford lessons. It was only later, when youtube came of age that I was able to see professional players hitting their serves in super slow motion. Wow, what a revelation that was! Using youtube, I could study the pros’ mechanics carefully to see how they were imparting so much topspin on the ball. I watched many different players and noticed they were all doing the same basic movements. Just in case it’s not clear, you want to put a massive amount of topspin on the ball when you hit a second serve. 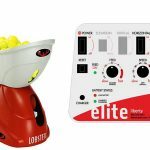 This will allow you to hit faster second serves with much more margin for error. Topspin will cause the ball to dip into the service box and make it “jump” off the ground. 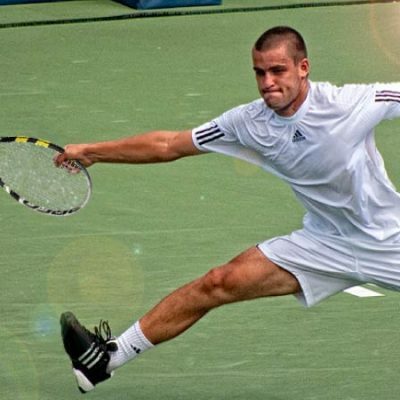 When it jumps (or kicks as tennis people say) the ball will rise higher off the bounce. This makes it a much more difficult shot to return for your opponent. A quick story for you. When I first started playing, I was trying to learn the topspin serve but not so successfully. I hit a bad second serve to my friend, Eric, who was my perennial hitting partner. Eric was a real comedian and loved to joke. Anyway, I asked him if my serve was kicking. He responded, “Man that f*%# wasn’t even walking!” I laughed pretty hard when he said that… Alright back to our tutorial. Now, I narrowed the movements of the second serve down to five key takeaways. These are pretty much all must-dos to hit an effective second serve in tennis. Here they are. These are the five mechanical keys that all professional players use to hit their second serves. Any deviations will result in a less-than-great second serve. 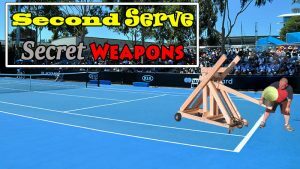 If you understand the mechanics of the tennis second serve, you’ll at least know how to hit it. Even if you can’t do it right away, you can begin to take the steps that will get you to a place where you can. Being a club player, trust me when I tell you that even today, I need to think of these mechanics when I hit my second serve. These movements are not intuitive or just come naturally to me. I believe the second serve is the most difficult shot to teach in tennis. It’s something you either get or you don’t. You can either do it or not. There is little in-between with the second serve. At this point in my life, I must have taught and played more than several hundred club players. It always fascinates me when I see a very good club player unable to hit a real second serve. But every time I do, it lends credence to my theory that players either can hit a second serve or they can’t. Those who can’t, either never learned, don’t understand the mechanics, or tried but gave up. If the second serve has been the weak point in your game, then allow me to help you see the light. You’ll then be free to swing as fast as you want, generate a ton of spin, and keep the ball in the court. If you could learn a great second serve, imagine how much pressure it would take off your first serve? It would free you up to go for the gusto on the first without worries. By the way, I assume you’ll be using a continental grip every step of the way in this tutorial. If you have a waiter’s serve with an eastern forehand grip, get ready to throw your waiter’s tray away. Yup, just chuck it in the garbage – no waiter’s tray serves here! You’ll absolutely need to use the continental grip for these five keys to work for you. Yeah, it’s a big change for some of you. But you can do it – I know you can. Alright, enough chatter. Let’s get into the nitty-gritty of the second serve and break down the mechanics in more detail. Stay with me. This post is going to be a game-changer for you! Most of you are used to tossing to your side. That won’t cut it for the second serve so get ready to make some changes in your toss. The toss is usually a problem for weak club players and beginners. We use our non-dominant hand to toss, so we don’t have the same level of control as our primary hand. This is only in the beginning though. If you practice your toss thousands of times, it begins to feel completely natural. Many of the kids I teach have a lot of issues with the toss because they’re new players and hardly ever practice it. The same can be said for adults. If you never practice your toss and it’s not very accurate, I highly suggest you isolate the toss and practice it alone for a while. I wrote an entire blog post on it with pictures and videos. Check it out if you need help on the toss. If you can’t toss accurately, then I’m afraid your serve will always suffer. For the second serve, the toss needs to be accurately placed over your head in order to spin the ball. The location we aim for on the serve toss is above the head. If you’re a righty, you’ll want to toss the ball around your right ear. If the ball drifts a few inches more to your left, you’ll still be okay. But a few inches to the right of the ear will not work for spin. For this reason, it’s vital you practice your toss for at least 5-10 minutes during each practice session. I like the toss and catch drill. 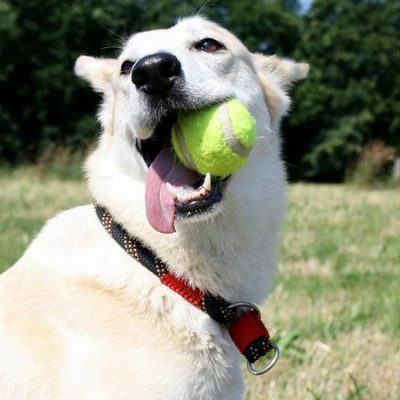 You’ll toss the ball, keep your tossing hand up, and catch the ball without bending the arm. For the first serve, we catch the ball a bit out to our right. But the for the second serve, you’ll be catching the ball more over your head. Tossing the ball over your head may not make sense to you right now. That’s okay. It’s most likely because you lack the correct fundamentals in the other parts of your serve. We’ll go over those in this post and then it’ll all make sense. Just keep practicing your toss. Make sure the ball is going over your head. This is the only location from which we can put topspin on the ball. In order to put spin on the ball, your shoulders need to rotate further away from the court than you’re probably used to. I would say 90 degrees is the minimum. This would have your chest facing completely to the side. By turning more, it’s easier for the racket to brush on the ball when it makes contact. And more brush equals more spin. Trust me, it works. To understand this, look at the pictures here. I also made a video going through all these steps, so it’s clearly spelled out. It’s essential we have more shoulder turn on the second serve than the first serve for it to work. I know it’s going to feel awkward to many of you. If it does, turn only slightly more than you usually do. Practice that at least a hundred times. As that becomes comfortable, you can rotate a bit more and then repeat. Eventually, you’ll reach a point where your shoulders are in a position to hit a good second serve. If you want to see a great example of extreme shoulder rotation, look at Pete Sampras’s second serve. It’s one of the highest degrees of rotation of any player I studied. So let’s recap. You’re going to have a continental grip. Your toss will be over your right ear (if you’re a righty – lefties do the opposite of everything mentioned in this post). And you’re going to rotate your shoulders further away from the court than you usually do. Practice doing only these two steps for now: the toss and shoulder rotation. 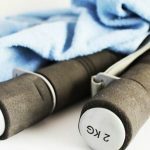 Put them together and do at least 100 reps. Once completed, move on to the next step. You might be confused by what I mean here. I’ll explain, but the video I made will make it crystal clear, so watch that too. 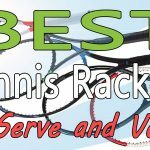 After hitting the “trophy pose” your racket needs to completely invert so that the tip of the racket is pointed downward. Most coaches call this the “racket drop”. This is not something done slowly or unevenly. It needs to happen in one smooth motion. You’ll go from trophy pose, to complete racket drop, to swinging up into the ball. This is one continuous motion. 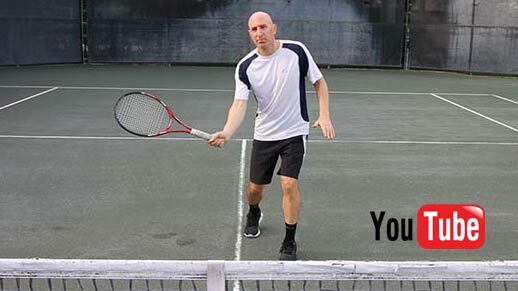 This video will help you understand the racket drop and how to do it. 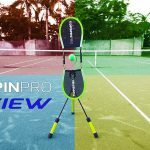 If you don’t have a deep racket drop, you can forget about hitting a second serve with topspin – it ain’t going to happen. For some of you, it could take days, weeks, or even months of practice to get your racket drop to a level good enough it hit a second serve. 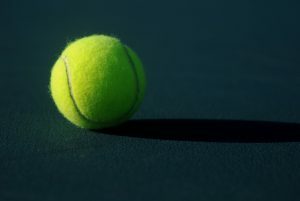 Tennis is a game of technique and one skill builds upon another. Hopefully, this is something you get and can do without much work. I’m going to assume you have a nice, deep racket drop, so I can go on. Now, the racket drop is hugely important because it allows us to hit the second serve from low to high, which is how we generate topspin on the ball in tennis. It’s very similar to groundstrokes. You swing low to high to produce topspin, right? Well, it’s the same principle on the second serve in tennis. 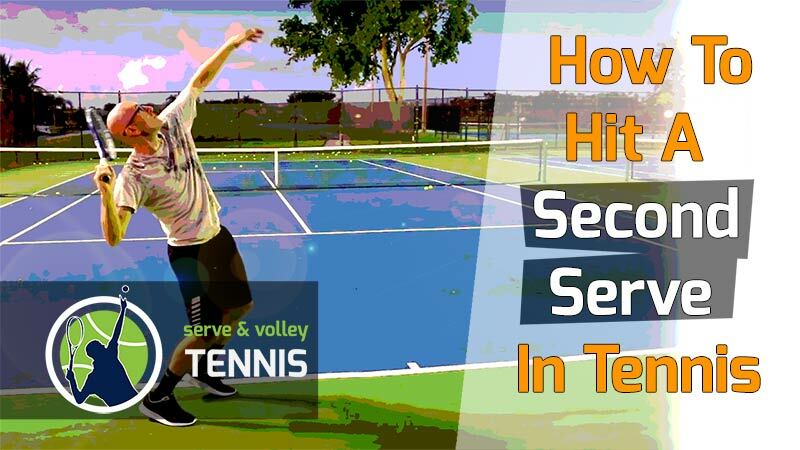 By executing all the fundamentals of the serve correctly (toss, shoulder rotation, racket drop), we automatically set ourselves up to hit a great topspin second serve. One of the main differences between the first and second serve in tennis is where we contact the ball with the racket. On the first serve, we usually hit the ball at the apex of the arm and racket. Anyone can hit the ball at the apex with little or no spin – even a beginner. This is the reason why players with a waiter’s serve can hit good first serves – but not great serves mind you. But on the second serve we don’t want to hit the ball at the apex of our arm and racket. Instead, we make contact slightly lower – around 8-12 inches lower. This allows us to make contact from underneath the ball instead of straight on, as we do on the first serve. On the second serve it’s vital you “hit up on the ball”. I know you’ve probably heard that phrase before, especially if you’re a veteran player. But it’s true. I really do feel like I hit up on the ball when I hit a great second serve. This is a key point to understand for hitting massive spin. By striking the ball below the apex, we will automatically provide spin to the ball. I understand this may be a difficult concept to execute – at first. I definitely had trouble with it when I was learning the second serve. It’s kind of like riding a bike. You either can or you can’t. Once you can, you’ll always be able to hit a second serve. This is one of the most important parts of this entire tutorial. The way I instruct my students to get this part of the serve right is to ask them to wait for a second longer to hit the ball. You need to let the ball drop (on the toss) to put spin on the ball. 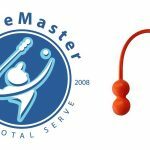 I also have them do a drill where they hold the ball with their left hand and use the racket (in their right hand) to brush the ball back and forth. This is not a hitting drill, but more of an exercise that helps them feel what it’s like to brush on the ball. To summarize and make clear, let the ball drop longer on the second serve than you’re used to. If you hit the ball at the apex, like you do on first serves, you won’t be able to put topspin on the ball. I hope this is sinking in. For this reason, it’s utterly important you develop a deep racket drop and hit the ball lower than the apex of the toss. If you combine this with a well-placed toss and proper shoulder rotation, you’re well on your way to hitting a great second serve. What do I mean by this? First, your chest needs to remain facing the right side of the court while swinging (lefties face left). This is vital to hitting with spin on the second serve. I see a lot of people execute the first four steps correct only to open too soon. By opening, I mean facing the court. 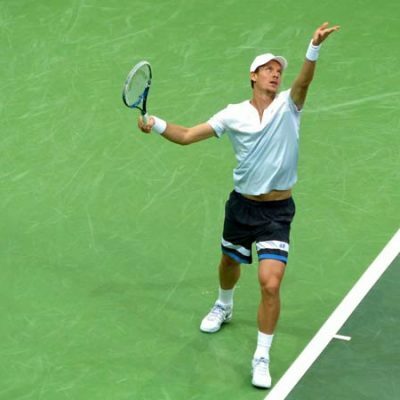 Players open too soon because they’re so used to doing it on the first serve. This is a crucial mistake. On the first serve, since we’re directing our energy into the court and behind the ball, it’s perfectly fine to turn the chest into the court a lot more. But on the second serve it’s essential to remain facing the side while hitting the ball. 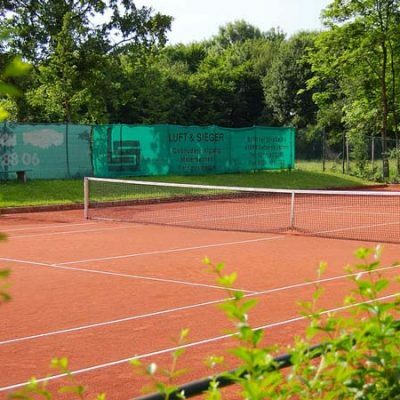 Now you may be wondering why it looks like the professional players face the court when hitting their second serves. They’re actually not. Look at their second serves in super slow motion and you’ll notice when they contact the ball (and for split seconds afterwards) they’re still facing the side. 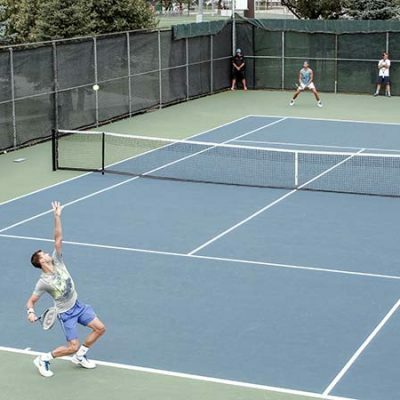 It’s only after the entire swing has been completed and the ball is 10-15 feet away that the player allows him or herself to rotate into the court. It’s natural to want to rotate into the court to see what’s going on. Doing so allows the player to see the court and finish the serve in a position where they can reset. Bottom line here is to stay to the side while you swing. Look, we need the racket to brush on the ball. If you see the racket face from a head-on perspective and a side perspective, it’s obvious only the latter will allow for spin. Now that we cleared that up, let’s talk about swing path. By staying to the side, your swing path “should” automatically finish out to your side – right side for righties and left side for lefties. On the first serve, everyone swings forward, directing their arm into the court. However, on the second serve the arm will move to the side and not directly into the court. This is another awkward change beginner and lower level players need to make on the second serve. I find a lot of people have trouble with this one. But it’s the final part of the serve. If you stay to the side and don’t open up early, this shouldn’t be an issue. Your swing path will naturally direct to the side. However, open up even a bit too soon, and it could cause your swing path to deviate into the court. If this happens, you’ll lose topspin on the ball. So stay to the side and swing out to the side. This is an easy concept to understand but can be a difficult one to execute – at least at first. Keep practicing this. I would suggest practicing your serve without a ball. 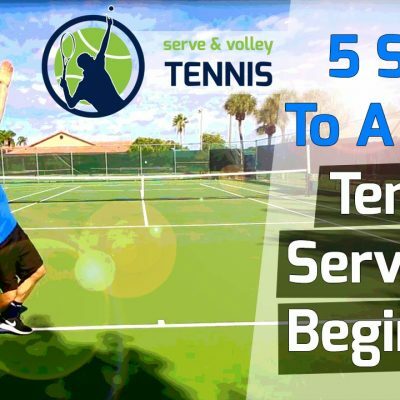 Just go through the whole second serve motion, putting these five steps together. Once you do that dozens or hundreds of times, take a ball and try the entire serve. If you still can’t get it, try tossing the ball far from you and still complete the whole second serve motion. This will take pressure off hitting the ball and allow you to focus only on the serve motion. Additionally, serve training aids like the ServeMaster will help you too. For some of you, maybe most of you, the second serve in tennis will require you to dramatically change your serve mechanics. It’s going to feel awkward and you’re going to miss a ton of serves. But I urge you to stay with it. Focus more on the process than the results at this stage. Watching the video I made will definitely help. Think about the concept of the second serve. If you understand the concept, it makes it easier to hit as well. Lastly, don’t take any shortcuts. Make sure you go through all the steps, one-by-one, in this post and the video. Believe me, I used to be super-envious of players with great second serves. It was like they were magicians and the second serve was a trick I’d never learn. But I did learn it and so can you. It’s a great feeling when you can hit a strong topspin second serve that wins the point easily. It also just feels great having a serve where players can’t tee off on you. If you have any questions about the second serve, just ask me. If you want to send me a video of your second serve, and I have the time, I’ll give you some pointers on it. Best thing to do is use wetransfer.com (it’s free) and send it to my email address.